KANSAS CITY, MO. 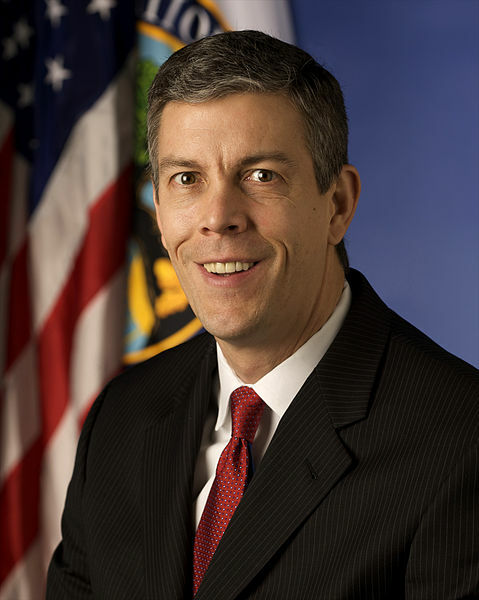 — U.S. Education Secretary Arne Duncan is heading to Kansas City to lead a town hall meeting on education and the Hispanic community. The event takes place Tuesday evening at the Penn Valley campus of Metropolitan Community College. Duncan will be joined by several White House officials and Janet Murguia, chief executive of the National Council of La Raza. Duncan is the former CEO of the Chicago public school system. He’s on a 10-day, cross-country “back-to-school bus tour” that ends Friday in Washington. Earlier Tuesday, Duncan will be in Kansas to visit the Brown v. Board of Education National Historic Site in Topeka and lead a town hall session at Emporia State University.